Who could ever have guessed that a group of sweet little old ladies could stir up such a world-class hub bub over a bunch of 'old' quilts? Well, the wonderfully talented group of Gee's Bend Quilters can, and have. First, it was Annie Mae Young who accused Atlanta art scholar, William Arnnett (who first brought the Gee's Bend quilts to national prominence) of falsely representing the proceeds from the quilters' enterprise. 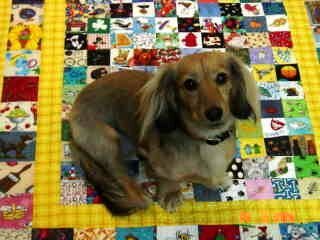 As quilter, Nancy Brown, stated "We need something else here. We need stores, we need our roads fixed, we need day care, we need a washeteria." And now, it is Lucinda Pettway Franklin, who filed a lawsuilt claiming that the lawyers had reclaimed and still had, three of her quilts. She is saying that they took them away and now she hasn't seen them in over two years. She was told that the lawyers were holding them because "family members hadn't wanted their true age to be known" (some of the fabrics appearing to be newer than previously claimed ) and that they didn't want to return them via regular mail. Franklin also claims that at various times, lawyers had told her that: "that the quilts had been destroyed in a fire, accidentally thrown away, ruined in a flood or lost." She claims that she just wants her quilts back, but.... her lawsuit continues. At the helm of the controversy is William Arnnett, one of the most controversial figures in the art world today. A prolific art dealer who was virtually excommunicated from the Atlanta art scene in the mid-1980s, Arnett turned his sights to collecting art from African-American "folk artists." He became, as Morley Safer labeled him, "the king of outsider art." Arnett loudly promotes certain African-American vernacular artists as "better than Picasso, better than Matisse." He drew the interest of actress and political activist, Jane Fonda, who was so taken by this form of art and the quilting artists that she invested over $1 million in Bill Arnett's book publishing venture aimed at promoting this work. The quilts don't come close to fetching the million-dollar prices paid for the abstract expressionist paintings by Robert Motherwell and Marc Rothko that they resemble, but the income helps in an enclave devoid of industry and commerce. Several well-known quilters, such as MaryLee Bendolph, who was profiled in a 1999 Pulitzer Prize-winning article published by the Los Angeles Times, steadfastly support the Arnett family. But now a financial dispute has divided the residents, estranging lifelong neighbors and threatening to send the celebrated quilters and their colorful bed coverings back, for a second time, into obscurity. It also pits a handful of impoverished descendants of slaves against a family of white Atlanta art dealers who have devoted decades to studying and promoting African-American art. "That's the way Satan is," says Mary Lee Bendolph, one of the best-known of the quilters, who remains a staunch supporter of the Arnett family of art dealers. "He gets people going, then he messes it all up." She also said in a telephone interview that "We all love the Arnetts. We don't want to make no more trouble." Matt Arnett, 39, says he and his father are used to being misunderstood. But he says he wants 'people to go and look at that incredible art and come away with a changed perception about America and where genius resides. I want them to understand that things from unexpected places can shine and make us re-evaluate our thoughts and beliefs about the world. The lawsuits probably won't go to trial before 2008. For the quilters enjoying their day in the sun, that might be too late. 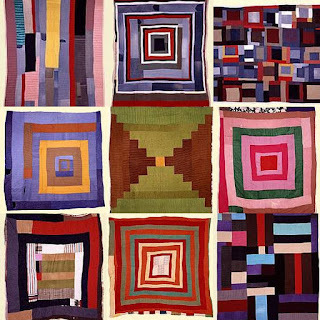 We all agree that the quilts, themselves, are unique and beautiful. None of us who try to emulate them, can even come close. The quilters share a unique ability to capture and create something of great and unusual beauty from the simplest of materials. But, the fact remains.... who would ever have guessed that a group of sweet little old ladies could stir up such a hub bub over a bunch of 'old' quilts? This is just a mess, unfortunately; it's a crying shame. Actually -- I can believe it. It's not just the worth of the quilts themselves, it's also the royalties from the publishing, the exhibition fees, etc. Something fishy is going on here -- and the fact that the woman who is supporting them is saying things like "we don't want to cause no trouble" is, in itself, really troubling to me. The quilts are great -- but I think there may be more afoot here than we are seeing.